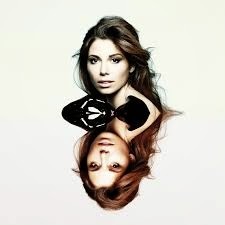 Do you remember way back to last year, when I spammed you all with Christina Perri's new single, Human? Well today saw the release of her second album, Head or Heart, featuring that very single, and let me tell you, that the only other time I have had my emotions punched in the face like this, was when I read John Green's The Fault in Our Stars. In the twenty minutes I was awake before I left my house, I was already caught in the music worlds excitement over the album. Human was playing on the radio in the kitchen as I poked my cat in the face, and two iTunes adverts came on the TV advertising Head or Heart, in the time it took me to tie my shoe laces. The second I got to university, and connected to the wifi, I downloaded the album, and drowned out the sounds of people shouting, and coffee grinding, with these beautiful heartfelt songs! Human is the third track on the album, however there are twelve other tracks that dazzle you into a daydream, with lyrics that resonate inside of you. My personal favourite's have to be I Don't Want to Break, Words, Burning Gold, Lonely Child, I Believe and Human, all consisting of heavy ballads and a somewhat pop feel, as well as emotions beyond beleif. I realise that I have listed a whole bunch of songs here, but it isn't possible to pick one favourite, when she has created such an amazing album. Plus, did I mention she did a song with Ed Sheeran!? Another thing I thought I would mention, is that if you were lucky enough to see her on the Lovestrong tour, you would have heard her play the demo of the song, Run. Well, she has taken that to the studio, and the album version is even better than the live, and that was pretty darn fantastic! You can listen to the album right here, or you can just go straight over to iTunes and buy it right now. Christina is about to embark on a massive tour, so make sure you get tickets (HERE), to see her sing in front of your very own face!